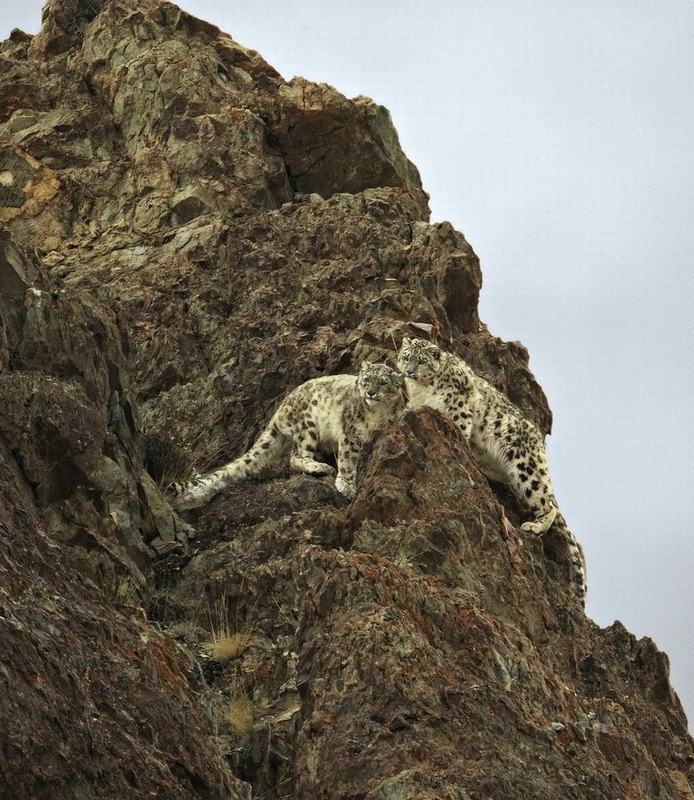 Snow leopards photographed interacting in the wild for the first time ever! I guess they heard about the internets too! The army iz growing... soon...we will haz it. A photographer has captured the moment two adult snow leopards interact in the wild - for what is believed to be the first time. The images show one of the normally solitary cats - a mother - greeting her two-year-old son. 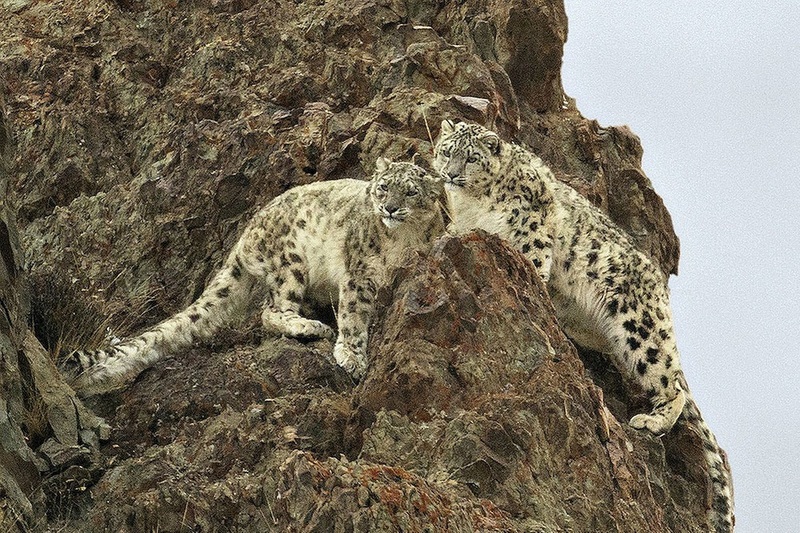 Wildlife photographer Amos Nachoum, 63, a former Israeli special forces member, spotted the pair after a gruelling 10-hour wait in the freezing Himalayas at 12,500ft above sea level. 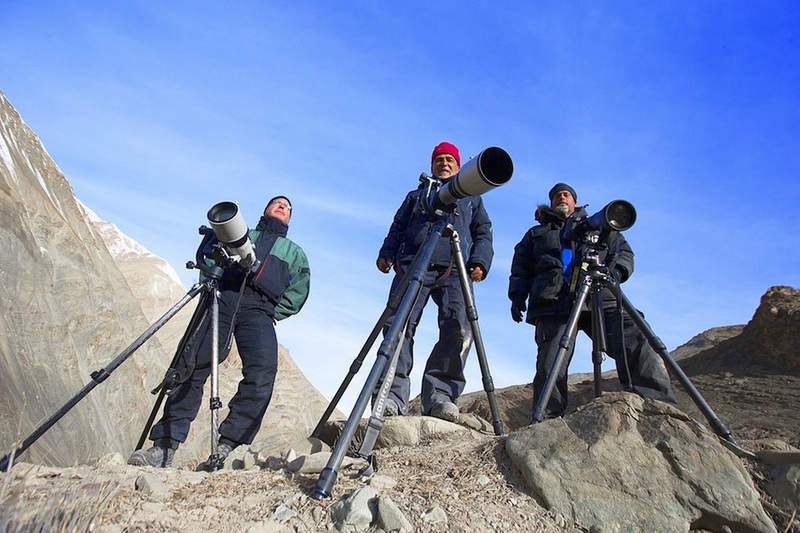 He had carefully interviewed several tourists, tour operators and adventure guides who had visited the mountain range searching for the cats previously. “The young male tucked his chin under her and than she tucked her chin under his strong neck and closed her eyes while he fixed his gaze in the distance," he said. “The road to arrive there had been challenging, but there I was, capturing the snow leopards in a moment rarely seen in the wild, and never before photographed. “The only sound on the mountain at this point was the rapid-fire shutter clicks of the two cameras remaining on the mountain. 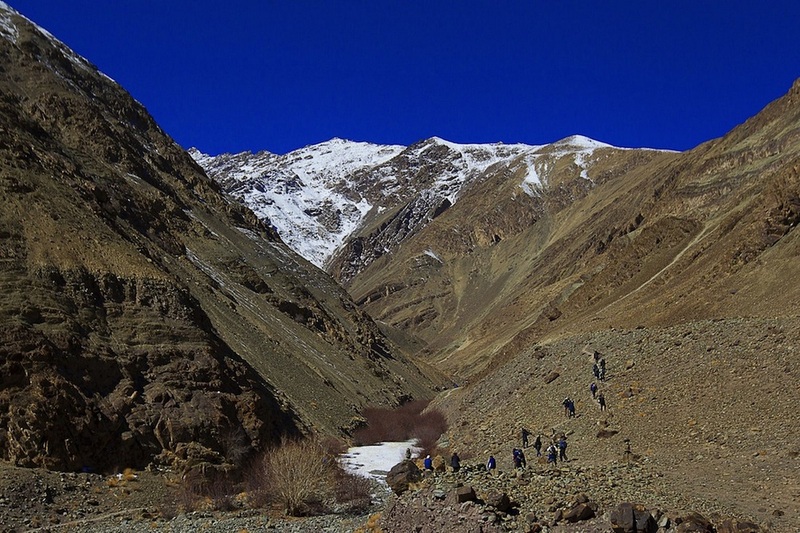 The group, led by Amos, had travelled to Hemis National Park with the determined goal of seeing two of the animals together. He added: “My four years of research had led me believe that I had pinpointed the Snow Leopards’ prime courting, nurturing and mating season, and I was certain this was the best time to photograph them. “We owe a tremendous thank you to our guides, particularly Gyalson Tsewang and Tsering Gurment, who found the cats and alerted us. “It is moments like these that remind us how precious and inspiring is the wilderness, and how we must be kind to mother nature.